SEOUL, Nov. 13 (Yonhap) — Bank of Korea (BOK) Gov. Lee Ju-yeol has been elected to the board of the Bank of International Settlement (BIS), the central bank in South Korea said Tuesday. At the BIS board of directors meeting in Basel, Switzerland, on Sunday (local time), Lee became the 11th member of the 18-person panel, according to the BOK. He will start his three-year term in January next year. 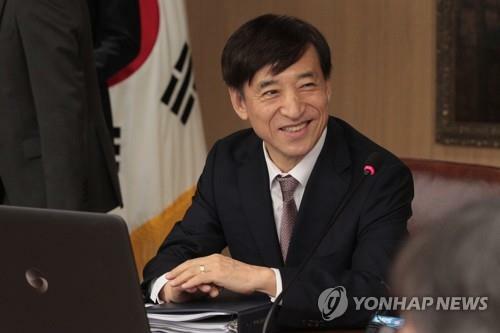 Lee is the first South Korean central bank governor to take a seat on the board of directors of the BIS, a group made up of 60 central banks across the world. South Korea joined the BIS in 1997. The board makes decisions on the strategic and policy direction of the BIS and supervises the institution’s management. It holds six regular meetings every year. Starting in 2019, the board will cut back on its sitting members from the current 21 to 18, including 11 elected directors.